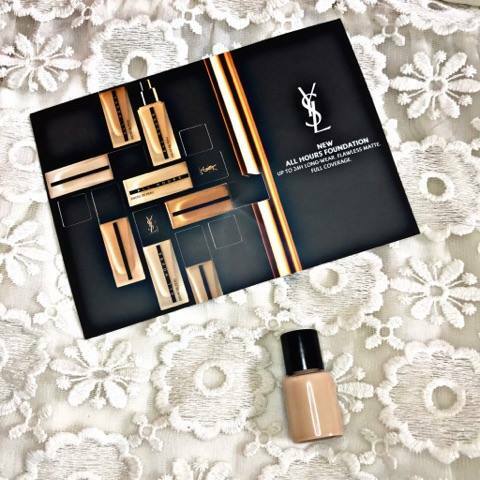 The new YSL All Hours Foundation is supposed to be the foundation that will take you from day to night with no touch ups and no fuss. It sounds pretty perfect. 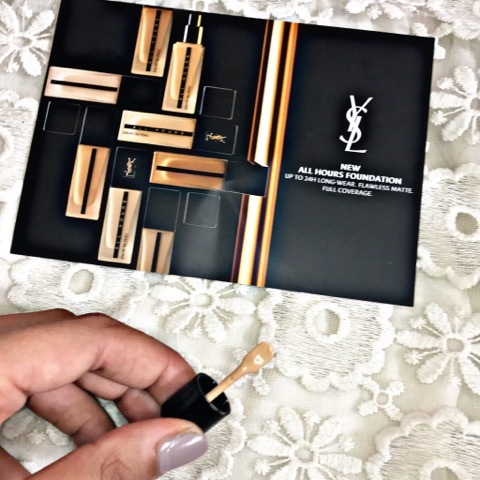 I ordered a free sample of the YSL All Hours Full Coverage Liquid Foundation (£33.50) via So Post after seeing it advertised on Instagram. There were limited shades available at the time, I settled on B50 Honey which is a touch too light for my current complexion but it is workable. Right now, I think I would be BD50 Warm Honey. This foundation claims to stay put for 24 hours so I am curious to see if it lives up to its many claims. To start with a healthy layer of moisturiser before going straight in with All Hours. Primer is not a necessity for me and I have yet to find one that truly knocks my socks off so I skipped it. I applied the product straight to the face using the tiny spatula. I would say in total I applied about a pump and a half in total but cannot be sure. I blended the product out using the Bdellium Tools Precision Kabuki , one of my favourite base tools. The colour is slightly too light, but blending down the neck and adding bronzer will take care of that. 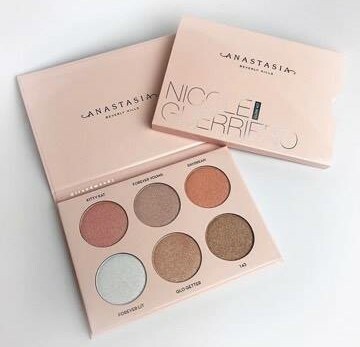 I really like the coverage, it is medium to full and pretty. It doesn't look like a mask as it isn't thick or heavy on the skin. Very comfortable to wear. So far, I like it. I am unconvinced that it will last all day. I don't think my skin looks truly matte, it has quite a natural finish but fingers crossed. I do have quite an oily T zone so I set my face with Kat Von D Lock It Loose Translucent Powder by pressing and rolling it into the skin with my black beauty blender. After that I added my powder contour courtesy of the Sleek Face Form Kit in Medium and a Bdellium Tools Duet-Fibre Foundation Brush. This brush fits perfectly into the hollows of my cheeks. I did my eyes using the Morphe x Jaclyn Hill Palette which is coming to Beauty Bay for £37 (review here). To finish I added a light dusting of the Kat Von D Powder all over the skin. I skipped setting spray. 07:00 Applied the foundation, lightweight, high coverage, natural finish. 09:00 Studied my face, can still see blemishes peeking through so not full full coverage. 11:00 Uh-oh my T-zone and cheeks are looking very shiny, foundation sitting well. 13:00 Had to blot, this took off some foundation so not transfer-resistant. Started to settle into lines. 15:00 Blotted once more, think the oil I am producing is making it transfer. Hasn't set at all. 17:00 At a restaurant for a rare social gathering. Alcohol makes me radiant not greasy. 19:00 Still radiant. God bless, happy hour. 21:00 I keep rubbing my face, it doesn't feel comfortable anymore. 23:00 Washed it all off an hour earlier. My first impressions are not good. I think this deserves a Take 2 where I try and limit my oil production more successfully. Next time, I will use a mattifying primer and I will bake my face and then see how it wears. As for the first go, extremely unimpressed. It looked pretty at first, the coverage and finish were both lovely but as the day wore on it kind of fell to pieces. I don't know where they got the 24 hour claim from because although there was still foundation left on my face it wasn't a lot. I will do a full review or Take 2 post shortly and I do intend to record a video next time so you can see for yourselves. 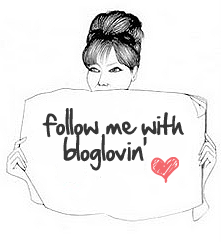 I hope you enjoyed this post and if you like the Wear With Me style I would love to do more. Leave any suggestions you have in the comments below. I have a large collection of foundations so I am happy to do it with those or even setting powders, concealer, eyeshadow. You name it, I will do it. Thank you so much for reading, I hope your week has been great. Take care. 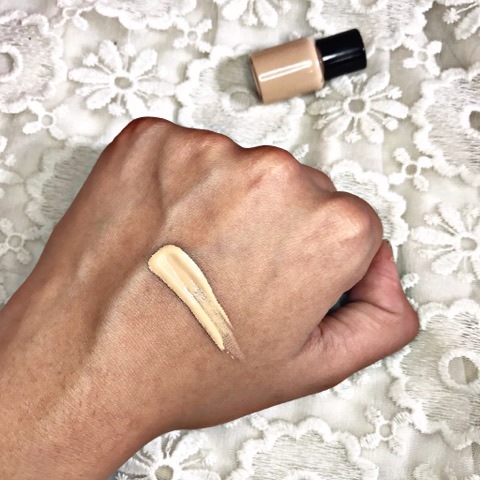 What was the last foundation you purchased? Oh no, I'm pretty gutted it hasn't performed for you! I'm oily as well and really need matte foundations to actually be matte. I'm really enjoying the Shiseido Synchro Skin foundation at the moment, have you tried it? I have dry skin so this might still be too matte for me. I never trust any foundation that claims to be 24-hour, I still use translucent powder and setting spray to make sure it locks in! Love how you are so detailed! Looking forward to see the second round. Try to use it with the Make Up For Ever Mattifying Primer, I have oily skin and that primer is freakin awesome! Wow! 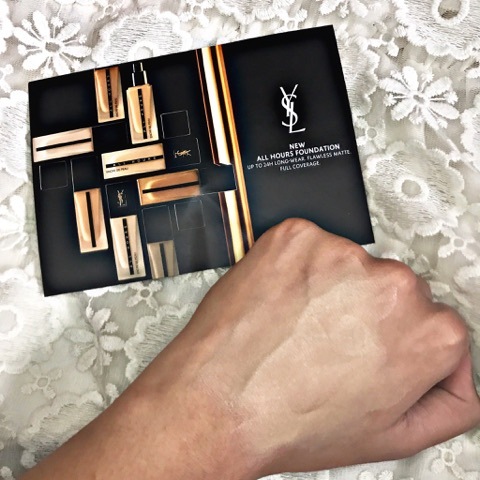 It's YSL and considered to be high-end but it sounds like drugstore makeups like L'Oreal do a better job :( thanks for your review! 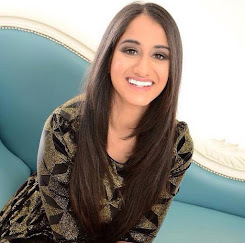 Very interesting post, Kiran! I hope the second time around it turns out better! It would be a shame for a high end brand to sell something that doesn't wow you, especially at the price it retails for!